Making plans to see the race? Free admission into Garden of the Gods Team leaders will race last. 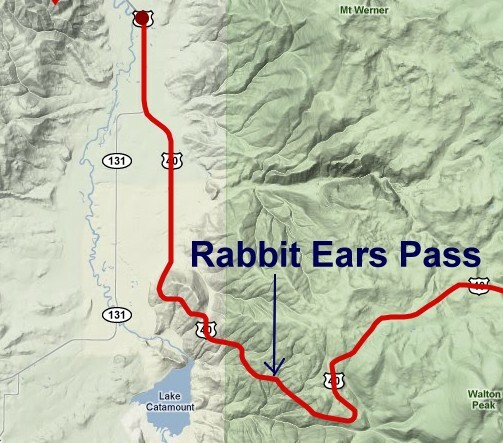 What time will the pro riders arrive on Monarch Pass? Riders expected to reach KOM on Monarch Pass at 12:45pm. 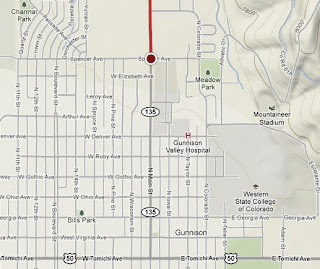 Eastbound US 50 closed in Gunnison until race passes through town. There is no detour 1:30 - 3:00pm. 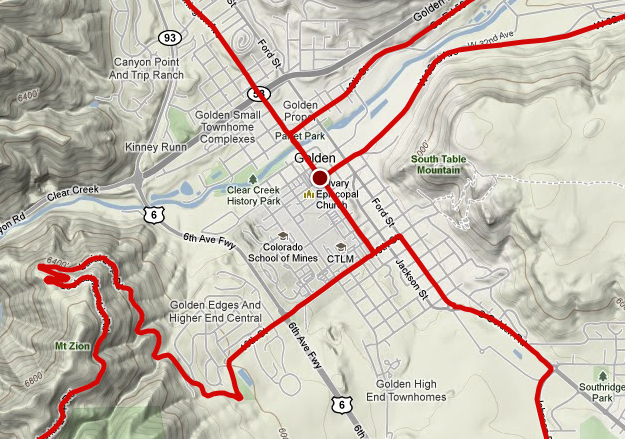 You will be able to see the start in Salida and travel via Cottonwood Pass into Crested Butte for the Finish. 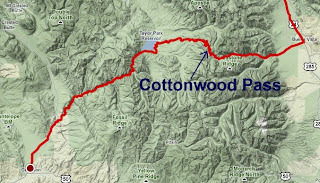 Cottonwood Pass closed: August 23 at 3:00 pm until August 24 at 1:00 pm. Rolling closures delays up to 30 mins for northbound and southbound US 24. Independence Pass eastbound closed: August 24 11:00-4:00pm. Independence Pass westbound closed: August 24 11:00-2:00pm. 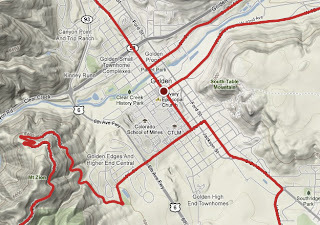 Plan on being at the Start or the Finish, or riding your bike to one of the two KOM passes, or driving by car to Cottonwood pass by 3:00pm the day before, or driving to Independence Pass on the morning of the race. 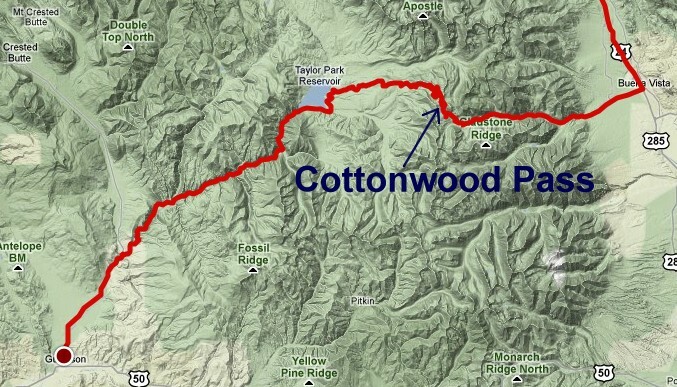 What time will the pro riders arrive on Cottonwood Pass? 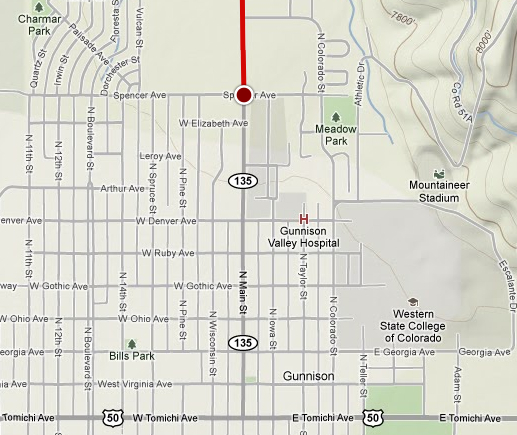 Gunnison to Cottonwood Pass: 36.0 miles - pros might arrive on the summit KOM at 11:30-12:30 pm. Cottonwood Pass to Buena Vista: 32.2 miles - pros might arrive into town for the sprint at 12:30-1:30 pm. What time will the pro riders arrive on Independence Pass? Buena Vista to Independence Pass: 42.8 miles - pros might arrive on the summit KOM at 2:45-3:30 pm. 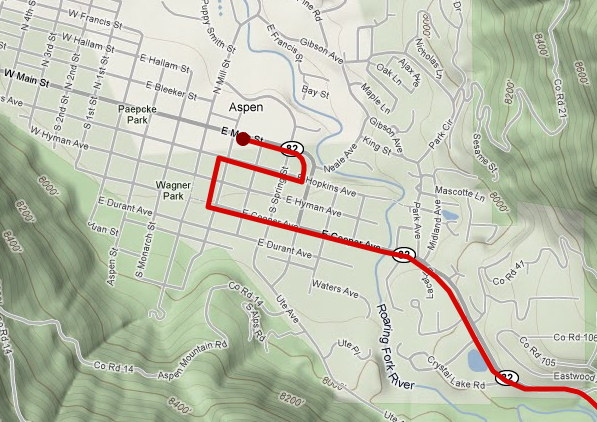 Independence Pass to Aspen: 19.8 miles - pros might arrive into Aspen at 3:00-4:15 pm. There is no rider sign-in for ITT. 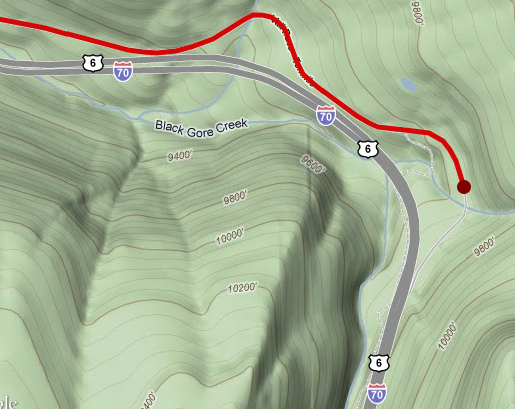 Right lane closed on westbound I-70 (one lane will remain open) between Vail Pass and US 24, 11:30-4:00pm. 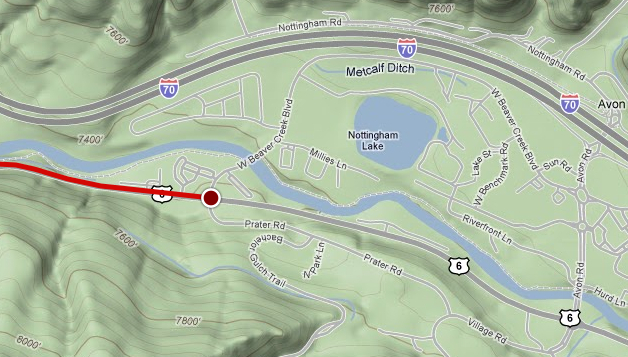 Exit 176 (Vail Exit) westbound off-ramp closed intermittently. 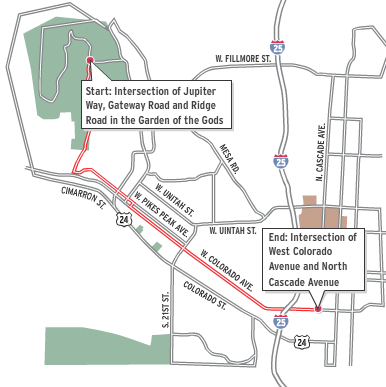 Motorists should use Exit 173 (West Vail Exit). 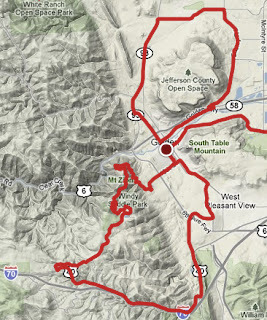 Cyclists either ride the course on Vail Pass by approximately 12-12:30 (race starts at 1:00pm, first rider arrives at finish by 1:30pm), or drive to the exit on Vail Pass, park your car at the rest stop and ride down to the finish 5 miles (steep return to your car). You will not be able to ride back down until after the race finishes. Rest area on Vail Pass may be closed due to capacity restrictions. 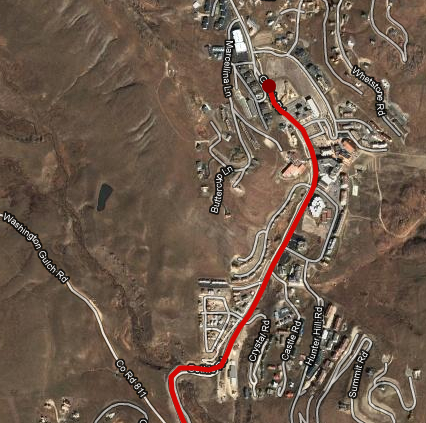 There will be shuttle services provide to the base of Vail Pass from town. Rider sign-in 11:30am in Avon. 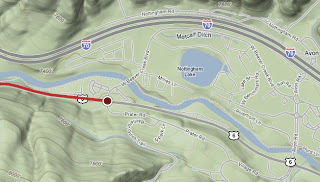 Nice bike path between Vail and Avon. Rolling closure Intermittent delays as necessary (delays less than 30 minutes) between US 24 and State Highway 131 in both eastbound and westbound directions into Steamboat Springs. It was announced that the road construction on Hwy 9 has been suspended during Stage 4 and 5 of the Tour. The official Spectator Guide from race organizers advises it is unlikely to attend all of the start in Avon and make it to Steamboat in time for the finishing sprint, even on the alternate Hwy 9 route. 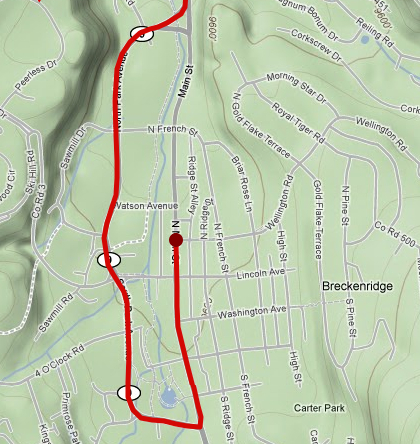 You may precede (30-60min) or follow (30min) the race up Hwy 131. Rider sign-in at 10:20am in Steamboat Springs. 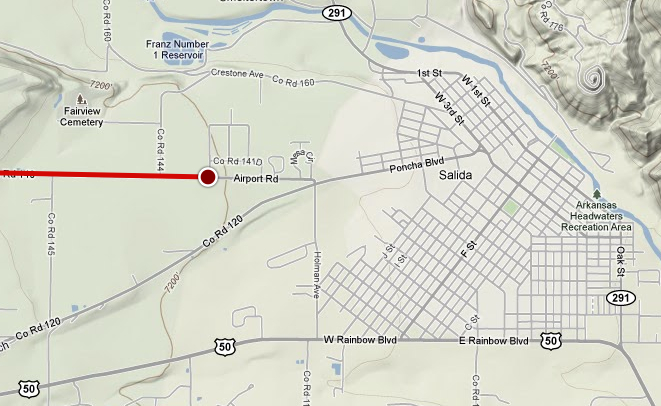 Westbound US 40 closed at State Highway 134, 9:00-1:30 (heading into town). 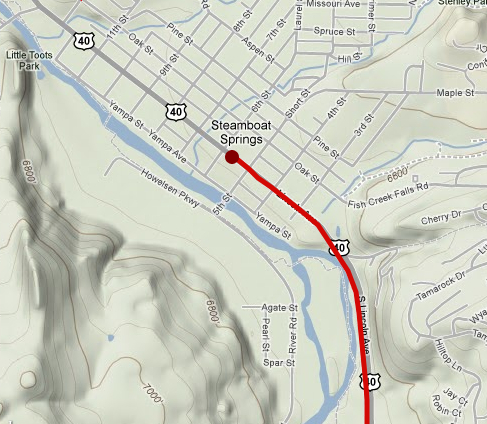 Eastbound Rabbit Ears Pass closed at US 40 in Steamboat Springs. Closed 10:30-1:30 (heading out of town). "Motorists can use the alternative route on State Highway 9 to State Highway 134 or State Highway 141 [sic 131] via I-70" (this is confusing, you can take Hwy 131 to Wolcott and I-70). 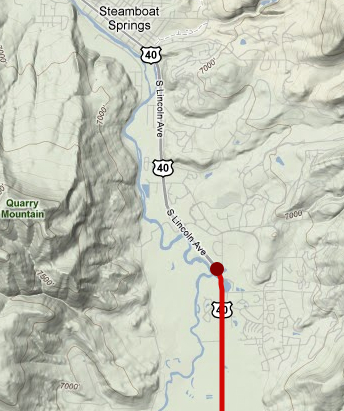 Most of the route is rolling closures expect 30-45 minute delays from 1:30-3:30 on Hwy 9. Eastbound and westbound I-70 off-ramps closed at Exit 205 (Silverthorne/Dillon Exit). 2:00-3:30pm. 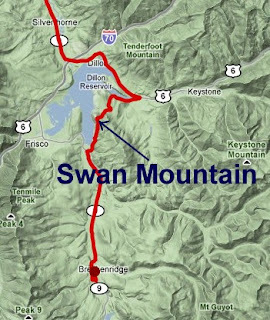 What time will the pro riders arrive on Swan Mountain? 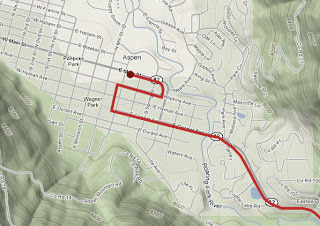 The riders should arrive between 2:30-3:30pm at the KOM. Southbound and northbound Hwy 9 into Breckenridge expect 30 minute delays 2:30-4:00pm. 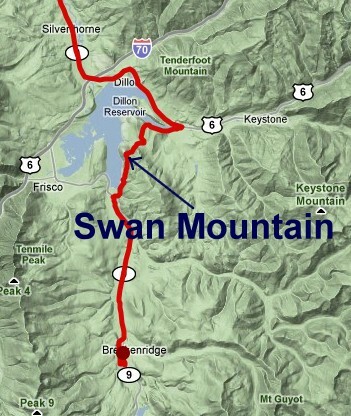 It is 10 miles between Swan Mtn and Breck on a bike path, or two-lane road. Rider sign-in at 9:45 am in Golden. 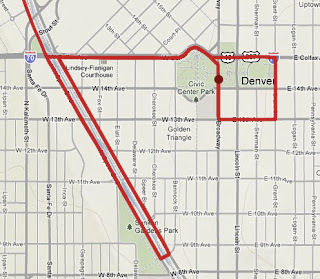 Golden is in lock down until 11:00am, be in Golden by 8:30am, be in Denver by 12:00, or be anywhere along the route. 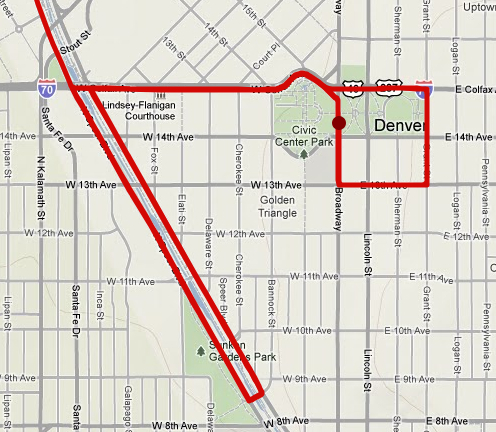 6th Avenue (Hwy) from Golden will take you directly into downtown Denver near the final loops on Speer and 8th Street. My volunteer bartending gig will be located in Civic Center Park above - I can't wait!